Relaxing Farm house Retreat near Cooperstown- Hosts 12 guests! 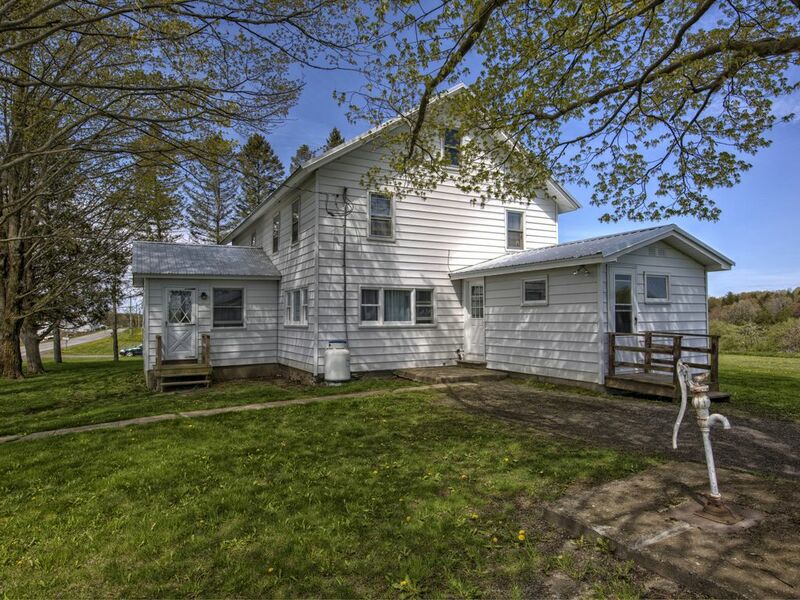 5 Bedroom, newly renovated farm house with gorgeous country views! Our fully renovated farmhouse is comfy, cozy, and a great place for your next country vacation, retreat, or group getaway. Just 17 scenic miles from Cooperstown, we're just a hop, skip, and a jump from all the awesome amenities, with plenty of country charm and open spaces to roam. The home includes a fully equipped kitchen, BBQ grill, deck with outdoor seating, large dining room, relaxing living room with TV, DVD player and video games, a chill yoga/reading room, and 5 bedrooms all with brand new beds, lines and desks. We provide all linens, bedding and towels. There is also a laundry room with a washer, dryer, iron, laundry soap and dryer sheets. We have free parking for up to 8 cars. Guests are also welcome to use the huge backyard for picnics, baseball games and yard games (supplied). This neighborhood is unique in that it is a true country experience with more neighboring cows than humans! The rolling landscape and beautiful country scenery are something right off a postcard. Hello! Amy and Mike here! We're a 30-something couple who fell in love with the country (Amy as a child, Mike, when he met Amy!) and we wanted to share that experience with the world. We're reformed workaholics (IT folks by trade, but branching all over the place now) who love meeting new people, enjoying great food and beverages, playing board, card, and video games, or just sitting out in the back yard with an amazing book! As hosts, we want you to come experience the countryside, disconnect from your everyday hustle and bustle, and really connect with friends and family! Growing up on this property was the most amazing experience and now that I have the chance, I want to share that with guests like you! We can't wait to have you stay with to experience the peacefulness that being in the county provides. Home was very spacious, clean and full of extra thoughtful treats like games, puzzles and toys for the kids; a basket of complimentary snacks in the giant well-equipped kitchen; We all agreed the sheets, pillows and linens were insanely soft and cozy. It was the perfect space solution for our mini reunion which is held each year on our family farm near Cooperstown. Baseball tourism, especially in July, has made getting hotels nearby cost prohibitive, so this VRBO which was only 10-12 miles from our "home base" was a great solution where we can all be together. Thank you!